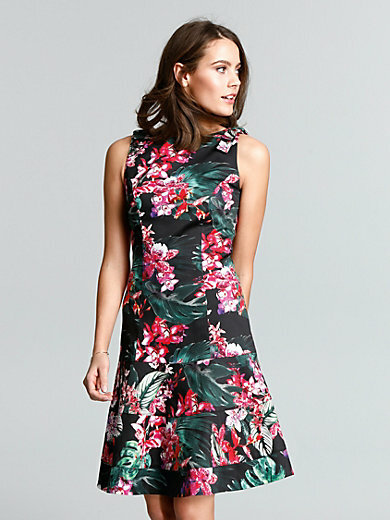 Sleeveless dress by COMMA,: a fashion statement in brightly-coloured jungle print. Simple yet sophisticated. Figure-hugging, slightly flared cut. Princess seams at the front. Loops on the shoulder straps add a charming detail. Front crew neckline. V-neck at the back. Discreet zip fastening on the back. 98% cotton, 2% elastane. Lining 100% polyester. Machine wash. Length approx. 39ins. The dress is machine washable.